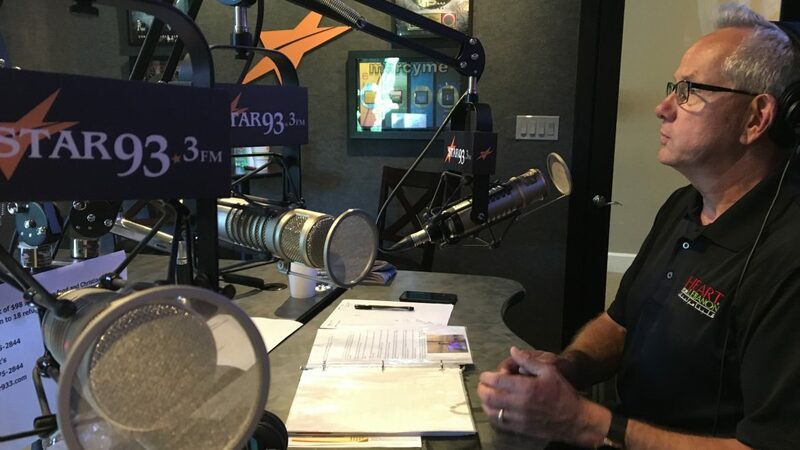 The radio audience of Star 93.3 FM, Cincinnati, Ohio has overwhelmingly responded to the need of refugee children in Lebanon. During a recent on-air partnership between the station and Heart for Lebanon, listeners helped to underwrite the cost of feeding and educating a classroom of kids at Heart for Lebanon’s HOPE Center for more than an entire school year. Over 232 school days were funded. Heart for Lebanon’s Chief Operating Officer Tom Atema, and The Hibbard Group’s President, Jack Hibbard shared stories throughout the day of how God is working through the refugee crisis. Atema said, “I am grateful for the team at Star 93.3 for believing that these children from Syria can have a better future. By inviting their audience to help change the thinking of refugee kids in Lebanon today, tomorrow will be different”. Hibbard added, “I was excited to see God move the hearts of listeners to respond. This was a great result considering it was the first time Star listeners had been exposed to the ministry”. Heart for Lebanon operates three HOPE Centers, in the Bekka Valley, Beirut, and in the South of Lebanon. These non-formal educational centers provide refugee children with education, Biblical character training and regular chapels that introduce these children to the Gospel. For more information, click here. Heart for Lebanon will be partnering with several stations and syndicated talk shows over throughout the remainder of the year. The next radio fundraising effort will take place at Star 99.9 in the New York City Metro area on July 26, 2017.